The world of Gotham is growing, with three Select-style action figures based on the hit TV series! 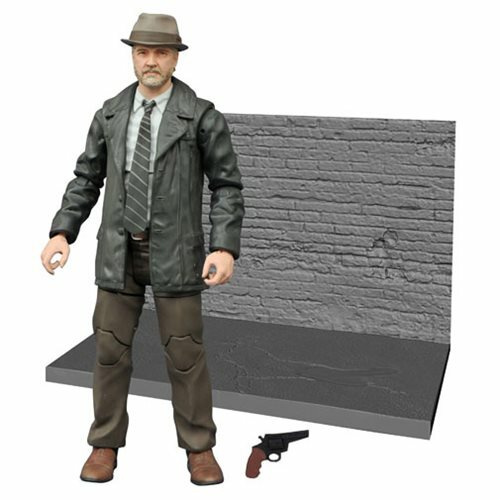 This Gotham TV Series Detective Harvey Bullock Select Action Figure measures 7-inches tall and includes a diorama piece of alleyway crime scene as well as his hat and gun! Action figure and diorama comes packaged in display-ready packaging, with spine artwork. Ages 8 and up.